Political campaigns, clean air, taxes, immigrants and crime were part of some of President Trump's rhetoric over the past week. Here's a look at what Trump said versus reality. 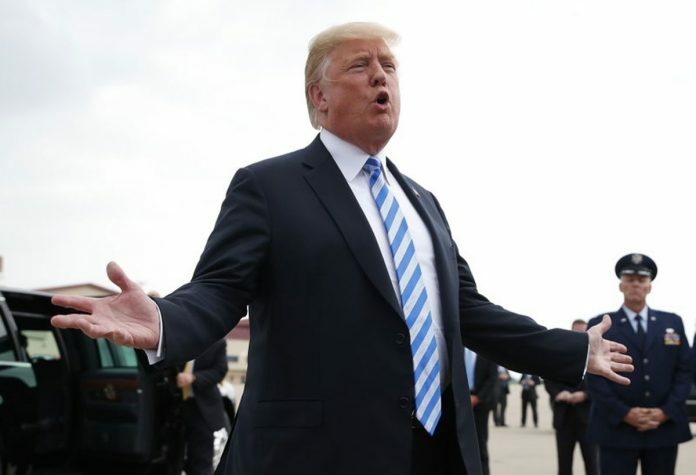 President Donald Trump denied that the crimes of his ex-lawyer were criminal, complained about a politician plagiarizing his slogan despite his history of doing the same and defied data in declaring the U.S. is No. 1 in environmental quality. The facts: The jury’s lack of consensus on 10 of 18 counts hardly makes Manafort an innocent man, or supports the notion that special counsel Robert Mueller’s investigation is a “witch hunt.” Manafort, Trump’s former campaign chairman, was found guilty on eight counts, including filing false tax returns and two bank fraud charges that will almost certainly guarantee years of prison for him. Trump: “‘Promises Made, Promises Kept.’ They’re copying it now, the Democrats.” — West Virginia rally Tuesday. Trump:: “It is the biggest tax cut in the history of our country and you people are benefiting by it.” — West Virginia rally Tuesday. It’s a $1.5 trillion tax cut over 10 years. As a share of the total economy, a tax cut of that size ranks a lowly 12th, according the Committee for a Responsible Federal Budget. Trump, praising Immigration and Customs Enforcement: “To hear some of the stories going on with MS-13, you wouldn’t believe it. And they’re doing an incredible job. They’re actually liberating towns.” — remarks Monday. Trump: “Leading members of the Democrat Party have even launched a campaign to abolish ICE. In other words, they want to abolish America’s borders.” — remarks Monday.